Today marks one year since my skiing accident when I blew out my ACL, tore my MCL and strained my LCL. Of the soft tissue in my knee, only my meniscus was left relatively unscathed. I’ve had many people ask me if my knee is all “back to normal.” This is a difficult question as I assume they are looking for the buttoned-up answer to be “yep, all good!” Kind of like asking, “how’s your day” while at the check-out counter in the grocery store, the asker rarely wants to hear what’s true, just a quick answer that smacks of platitude. If you want platitudes, stop reading here. 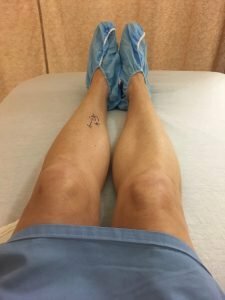 My journey with healing my knee has been a dogged, drag-it-out, bring-me-to-my-knees (! ), slog that has not been pretty nor easy. 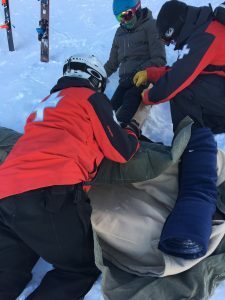 A year following my accident, I have not strapped on my skis since I took them off to ride down over 2,500 vertical feet in the ski patrol basket. 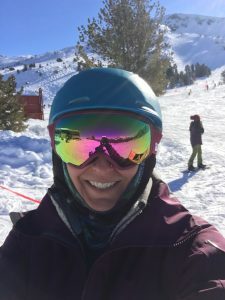 We were scheduled to finally go skiing over President’s Day Weekend, but a death in the family made doing so seem unimportant. I have been cleared to ski–with a brace and caution. Still, I haven’t had the chance, and in moments I wonder if I lack the courage. But that still feels so far away. At first, following surgery, it looked like my healing process was going really well and fast. I didn’t need much help with pain (which was a good thing as I hated the pain meds they gave me). I was on the stationary bike quickly and was making great progress overall. What I did next was the problem. I began to expect. 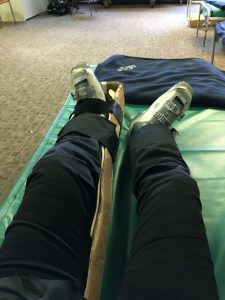 All my questions to both surgeon and physical therapists revolved around expectations: at what point would I be able to ski again, at what point would I be able to run, do yoga, go up and down the stairs with ease, bend my knee and sit in lotus, etc. etc. I wanted to KNOW. Yes, this is the funny part. I am a childbirth professional. My profession revolves around helping parents expand their expectations around labor, birth and new parenthood. They want to KNOW how it will go and what to expect. The truth for them in birth, and for me in my healing process, is we can’t know as there is no certainty. The past year has been a moment-by-moment meditation on letting go and surrendering to the process while simultaneously giving it my all. At first, I went to physical therapy three times a week for over three hours a session. It felt like I had a new part-time job because between the driving to PT, follow-up appointments with my surgeon, seeing my other healing support teams, home exercise and the PT workouts themselves I was, spending about twenty + hours a week focused on healing. Is it any wonder I didn’t get my book written last year as was the plan? Doing blood-flow restriction about two weeks post-op. BFR is a beast! Physical therapy has become a type of yoga for me. Like in the early days of my yoga practice at Yoga Works, I know every person who works at the facility by name. I’ve become a regular…I know the ropes and equipment and even some of the other clients also there to rehab their bodies. I find myself deep in the process of actively healing while working out. I focus on my body—especially my knee—with every breath. I struggle, cry, surrender, push, give up, and start over. I have felt the thrill of progress and left in tears of defeat. And still, I go. These past few weeks, coming up on my one-year anniversary, also happen to be perfectly timed along with many of the Olympic downhill skiing events. Never have I felt so connected and personally involved with an Olympic event before. You see, watching the human interest stories about Lindsey Vonn were like watching snippets of my last year. No, I’m not saying I’m an Olympic level skier! But our knee injuries have similarities and occurred while we both had skis strapped to our feet. She was going 60 MPH; I was not. Still, forgive my stretch into simile. I read all about her rehab. I watched clips of her doing physical therapy, including exercises that I also do regularly. 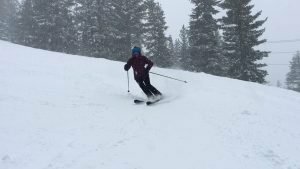 When watching her ski, I could see the outline of her DonJoy knee brace under her racing suit, the same one that hangs in my closet waiting to be taken down the slopes attached to my leg. Watching her race was invigorating, anxiety producing and incredibly inspiring. I screamed at the screen as if I were a die-hard football fan at the Superbowl of my favorite team. I almost never do that. It was watching her go down the hill, doing the sport I love, on that knee that mattered to me. Watching the hard work and effort she put into re-building her knee pay off so that it could carry her down the slope, at high speeds and do so well at the Olympics…that’s what mattered to me. It was almost as if all she needed to do to win gold in my eyes was to cross the finish line in one piece. In the end, she won a bronze medal—that knee and her skill. Unbelievable! This is clearly Lindsey Vonn and not me, but I do this same exercise at PT. I’ve worked harder since learning about her process and watching her ski again. I am inspired. 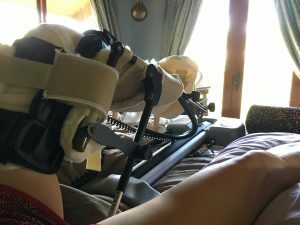 I told my physical therapist all about the exercises I read are a part of Lindsey’s recovery—the ones I do as well and ones I don’t, but maybe should. My primary physical therapist had listened to one of my recently recorded podcasts where I talk about the process of becoming a parent being a lot like that of the caterpillar entering the cocoon and coming out a butterfly, in particular, the importance of the time in the cocoon. 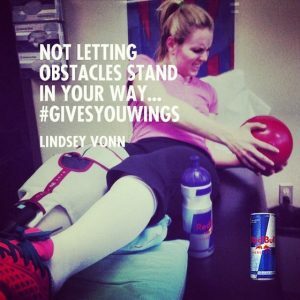 And then, funny enough, I found this photo of Lindsey Vonn the day after her knee surgery doing ab work, with the hashtag #givesyouwings. Metaphors for birth work throughout life. 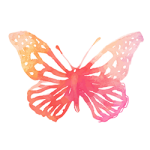 It’s been a long time in the cocoon—dissolving and rebuilding—and I’m not yet fully winged. I don’t know how long this particular cocoon period will be. While the outside world asks if I’m 100%, I just take an extra breath and head back to physical therapy with surrender and determination…they may seem like opposites, but they are not. I’m not sure I can answer that question as it holds so many assumptions within it. Is Lindsey Vonn 100% after her surgery and subsequent recovery? Maybe. She did win a bronze medal at the Olympics, albeit wearing a knee brace to support her recovered knee. Maybe part of the problem is believing there is a place in healing where we ultimately measure up to our former, pre-accident, 100% selves. 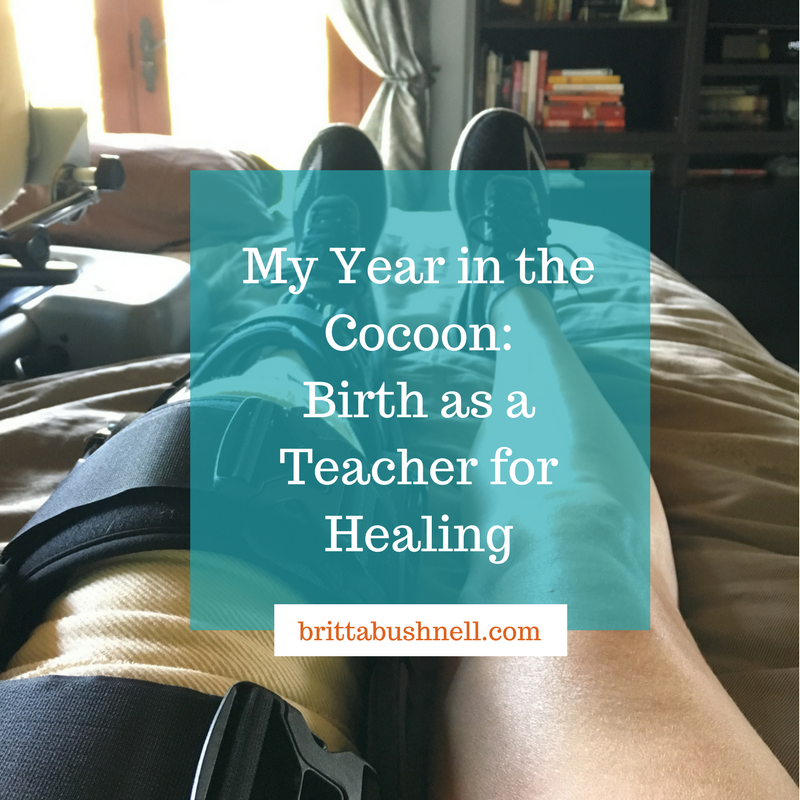 Could this time in the cocoon of healing be like the transformation into parenthood? This experience has changed me and my body, in irrevocable ways. I am grateful for my new ACL, but it will never be what it was before my accident and subsequent surgery. 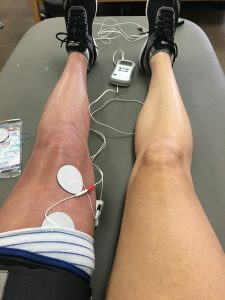 I will never ski again without the knowledge of how challenging recovery can be or how a seemingly minor accident can cause major damage to a knee. Just as a parent cannot go back to knowing life before they had a child and a body often carries signs of pregnancy forever. But this doesn’t mean we never sprout wings and learn to fly! So what is a 100% recovery from a life and body changing event? It isn’t a comparison to some memory of a former self; that feels clear. When I talk with parents about the transformation following birth, I mention the unpredictable length of time, the patience needed, and the required surrender to the process. All of that can be said of this healing process of transformation too. And, like with new parenthood, there isn’t a location one arrives at that is clearly defined as “the destination.” Such arrival isn’t obvious. Instead, there are markers on the way, multiple thresholds to cross, and emotional and physical hills and valleys to navigate. There may never be a moment when we are inspired to exclaim, “Yes, I have made it!” Instead, I think it’s a slow becoming, or perhaps an unbecoming. It is a day to day, moment to moment, breath by breath process of metamorphosis. I don’t yet have my new wings, but they are forming. I can feel them growing. My job in healing (like in birth) is to do the best I can do to support the process and surrender to the rest. It’s that simple and that hard.